Use Digital Image Processing, OpenCV, Python, and Ubidots to build your own People Counting System. Digital Image Processing is a fast growing software field, part-due to the increase of available Machine Learning techniques that developers can access with the cloud. Having the ability to process digital images with the cloud averts any requirement for dedicated hardware, ultimately making DIP the go-to form of image processing because it is not only the most versatile method over the cloud, but also the cheapest. 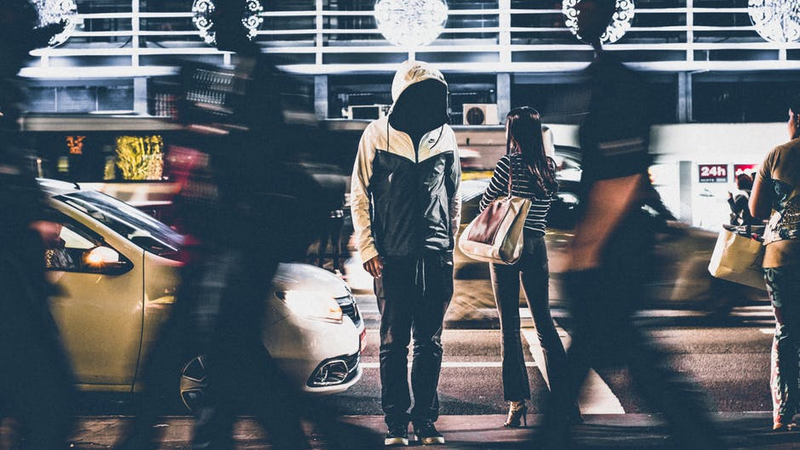 One of the most common applications of DIP is pedestrian detection and counting, a useful metric for airports, train stations, retail stores, stadiums, public events, and museums. 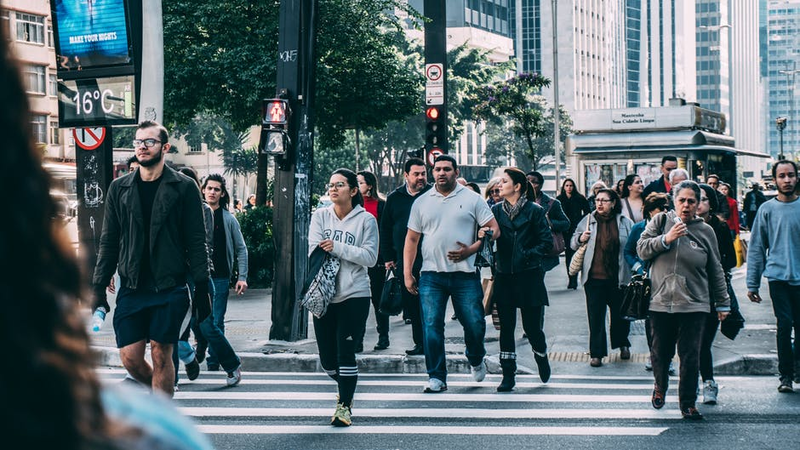 Traditional off-the-shelf people counters are not only expensive, but the generated data is often tied to proprietary systems that limits your possibilities for data extraction and KPI optimization. Conversely, an embedded DIP using your own camera and SBC can not only save you time and money, but it will also give you the freedom to tailor your application to the KPIs most important to you and extract insights from the cloud that would otherwise not be possible. Using the cloud to enable your DIP IoT application allows developers to enhance overall functionality of the DIP application. With increased capabilities in the form of visualizations, reporting, alerting, and cross-referencing outside data sources such as weather, live vendor pricing, or a business management systems gives developers the freedom they desire. Imagine a retailer or grocer with insights stating the number people passing near an ice-cream fridge, those who buy vs. do not, and the number of times door was opened vs. internal temperature of the fridge. From just these few data points a retailer can run correlation analysis to better understand and optimize its efficient product pricing and the fridge overall energy consumption. 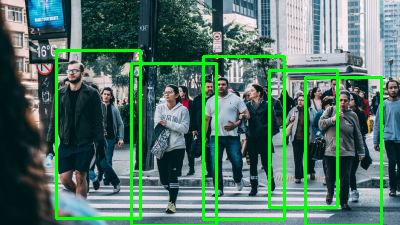 To begin your digital image processing application, Ubidots has created the following People Counting System tutorial using OpenCV and Python to analyze number of people in a given area. Expand your applications beyond just people counting with the added resources of Ubidots IoT Development Platform. Here, you can see a real live people counting dashboard built with Ubidots. *For additional integration inquires, reach out to Ubidots Support for ways you business can take advantage of this value adding technology. Installed Python 3 or newer in your OS. 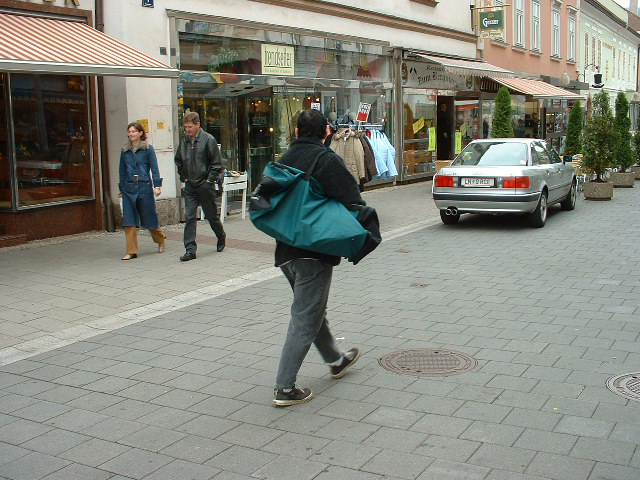 The whole routine for detection and sending data can be found here. For a better explanation of our coding, we will split the code into eight sections to better explain each aspect of the code for your better understanding. In Section 1 we import the necessary libraries to implement the our detector, imutils is an useful library tool for DIP and will let us perform different transformations from our results, cv2 is our OpenCV Python wrapper, requests will let us send our data/results over HTTP to Ubidots, and argparse will let us read commands from our command terminal inside our script. IMPORTANT: Do not forget to update this code with your Ubidots Account TOKEN, and if you are an educational user, be sure to set the INDUSTRIAL_USER to False. After the library is imported, we will initialize our Histogram Oriented Object descriptor. 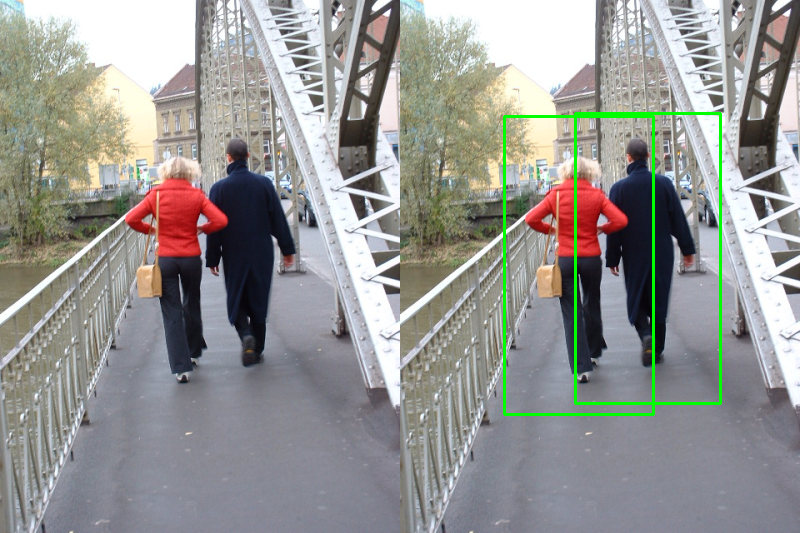 HOG, for short, this is one of the most popular techniques for object detection and has been implemented in several applications with successful results and, to our fortune, OpenCV has already implemented in an efficient way to combine the HOG algorithm with a support vector machine, or SVM, which is a classic machine learning technique for prediction purposes. This declaration: cv2.HOGDescriptor_getDefaultPeopleDetector() calls to the pre-trained model for people detection of OpenCV and will feed our support vector machine feature evaluation function. The detector() function is where the 'magic' happens, it receives an RGB image split into three color channels. To avoid performance issues we resize the image using imutils and then call the detectMultiScale() method from our HOG object. The detect-multi-scale method then let's us analyze the image and know if a person exists using the classification result from our SVM. The parameters of this method are beyond the scope of this tutorial, but if you wish to know more refer to the official OpenCV docs or check out Adrian Rosebrock's great explanation. Now, in this part of our code, we must define a function to read an image from a local file and detect any persons in it. To accomplish this, you will see that I have simply called the detector() function and added a simple loop to paint the round-boxes for the detector. 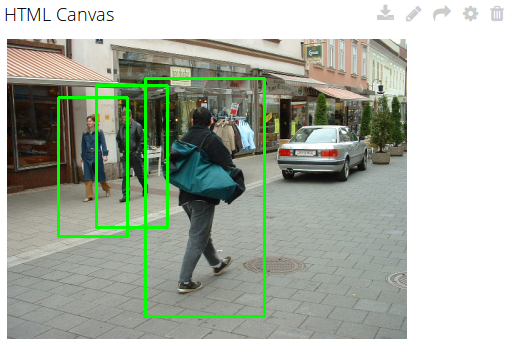 It returns the number of detected boxes and the image with the painted detection. Then, just simply recreate the result in a new OS window. This method is intended to get the arguments inserted through your terminal and trigger a routine that searches for people in a locally stored image file or through your webcam. These two functions of Section 6 are the highway for sending your results to Ubidots for understanding and visualizing your data. The first function def buildPayload builds the payload inside the request, while the second function def sendToUbidots receives your Ubidots parameters (TOKEN , the variable, and device labels) to store the results. 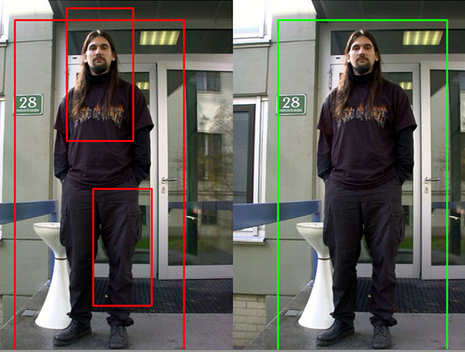 Which in this case is the length of the detected round-boxes by OpenCV. Optionally, a context can also be sent to store the results as an base64 image so it can be retrieved later. camera: A variable that if set to 'true' will call the cameraDetect() method. Section 8 and the final piece of our code is the main() function which simply calls the arguments from the console and launches the specified routine. Don't forget, the entire code can be pulled from the Github here. Open your favorite processor text (sublime-text, notepad, nano, etc) and copy and paste the full code available here. Update the code with your specific Ubidots TOKEN and save your file as "peopleCounter.py." To analyze these images, first your must store the images on your laptop or PC and track the path to analyze the images. In my case, I stored the images in a path labeled as 'dataset.' To execute a valid command, run the below command but with your image's path. // Subscribe Variable with your own code. Do not forget to put your account TOKEN and the variable ID at the beginning of the code snippet. You can watch the dashboards with the results in this link. In this article we have explored how to create an IoT People Counter using DIP (image processing), OpenCV, and Ubidots. With these services, your DIP application is far more accurate than PIR or other optical sensors when detecting and identifying the differences between people, places, or things – giving you an efficient people counter without all the static of early data manipulation. Let us know what you think by leaving Ubidots a comment in our community forums or connect with Ubidots simply with Facebook, Twitter or Hackster.